“Which homes for sale near Mitchell Community Elementary School, Canyon Country CA would mean my children could attend this well scoring school?” Please scroll down for school information and Mitchell Community Elementary School website. This is one of the most important of many questions parents ask when beginning their Santa Clarita real estate search for homes for sale near Mitchell Community Elementary School in Valencia CA. It is both disappointing, and a waste of precious time if you find homes for sale near Mitchell Community Elementary School you love, and believe that your child can attend, only to find out it is not within the schools attendance boundaries. Look without wasting your time. All homes for sale near Mitchell Community Elementary School. 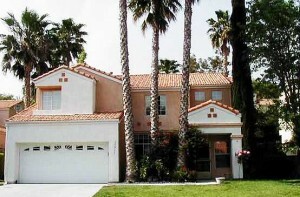 Page is constantly updated and includes homes in areas of Canyon Country CA within the city of Santa Clarita CA. Homes to be found for sale near Mitchell Community Elementary School include town homes, executive homes and single family tract homes many with views over the Santa Clarita Valley. Staff and students alike believe that all students will learn and achieve their maximum potential. Students display confidence in their strengths and have a positive self image. There are high expectations for student achievement and behavior. A safe and secure place to be, and have a sense of pride in our school. Students develop an appreciation of everyone’s uniqueness and the commonalities we all share. Uniqueness is accepted with compassion. Students will work cooperatively with all others. Students appreciate American democratic ideals and our constitutional heritage. Students develop a connection to our community, our nation, and our world. * Students have be proficient in understanding of reading, writing, math, and problem solving. Students can apply information in a practical manner. Students accept responsibility for themselves and their actions. Technology is utilized as a tool for learning, communication , and production of outcomes. To view your selection of Santa Clarita homes for sale near Mitchell Community Elementary School Canyon Country CA today, contact Pia Soper, your local Santa Clarita real estate agent in Canyon Country CA, Saugus CA and Santa Clarita CA today!